If there is one Italian car brand that tugs at the heart strings, it is Lancia. The brands long and slow demise since the late 1980s has been difficult to watch. And it looks like the former great automotive builder who did things so differently, has been consigned to the history books for ever. But every so often one model turns up that puts a smile on your face and makes you forget about it all. That is a Lancia Montecarlo with an Alfa trick up it’s sleeve. One that Lancia’s engineers considered back in the day! The Lancia Montecarlo arrived on the scene in 1975. The Pininfarina designed and built mid engine coupe was an interesting alternative to the Bertone designed Fiat x1/9. Indeed in the prototype stages, the Montecarlo was known as the Fiat x1/20 (though it originally it started out at the x1/8). The Montercarlo coupe was instead taken on by Lancia, who offered it as a more upmarket sports car. Early in the Montecarlo’s development phase, Lancia’s engineers tested a Fiat 130 3.0 V6 engine. Indeed a prototype named the the Abarth SE030, was entered in the 1974 Giro d’Italia. It finished second and was beaten by none other than a Lancia Stratos. With internal conflict looming and the 1970s oil crisis on the horizon, Lancia was forced to switch to a more frugal 2.0ltr four cylinder twin cam unit. The upmarket Lancia coupe and later spyder went on to sell 5,638 units over a six year period. You don’t see Montecarlo’s at car shows too often. And when I do I always give them a good look over. As an owner of a Bertone x1/9, the Lancia Montecarlo has always been on my radar. I’ve always found the somewhat softer Pininfarina lines to be a nice alternative to the sharper bertone wedge. 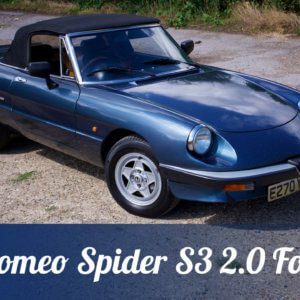 And many x1/9 owners will admit they would love to have the lively Lampredi twin cam. So you can imagine my reaction I noticed that this Montecarlo has an Alfa Romeo 3.0 V6! The heart of the beast! The seller states that this Montecarlo S2 has a newly rebuilt Alfa 3.0 V6. The 210BHP V6 is mated to an Alfa 156 6 speed gearbox and can pull off a claimed 0-60 in 6 seconds. Reigning in all that power are Fiat Coupe 16v brake disc and pads. Braided hoses have been installed along with a replacement master cylinder. The wheels are a nice set of Compomotive alloys. The seller also notes that the bodywork has had some restoration work, with new door skins and inter and outer sills. It has also had a respray. As do the 308 tail lights. The rear trim panel does have some cracks and chips so a replacement would be needed to tidy it up further. Another interesting detail are the Ferrari 308 tail lights. The original Montecarlo lights are included with the car. Of course the big eye catcher with this Montecarlo is the V6 under the mid engine bonnet. It must sound pretty awesome! Given that Lancia’s own engineers considered this size displacement, this is the ultimate conversion. Obviously with a build like this one would need to make sure that the chassis and brakes can handle the power. The Lancia’s low kerb weight and centre of gravity should make it accelerate like a scalded cat and corner like it is on rails. New shock absorbers and a polybushed suspension should help also. Also worth considering is rust. At the end of the day it is a Lancia so you will need to give it a good look over. Common weak points are the bulk head, wing tops, rear cross member and floor pans. 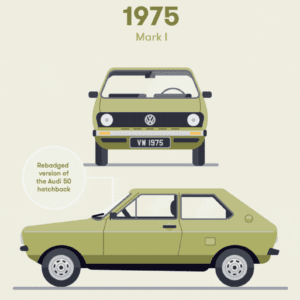 The cars MOT history is clean which is a positive. Harking back to all the doom and gloom about the demise of Lancia, it is builds like this that turn back the clock. The fact that Lancia considered a 3.0 V6 for the Montecarlo makes this build a nice homage to the original concept. Lancia today may be a shadow of its former great self, but as you burble along in this S2, the dream is very much alive! 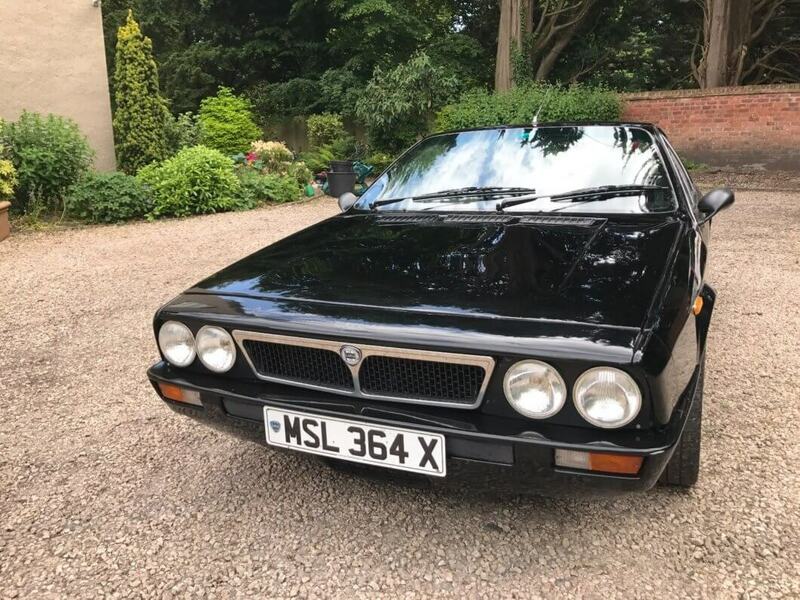 More details on this 1982 Lancia Beta Montecarlo can be found here on eBay with a current bid of £5,600.